The EZU RIVER flows cross Agbaogu town through Ugwuoba and Amansea communities and empties into the river Niger. It is a common boundary between Amansea community in Awka north local government area of Anambra state and Ugwuoba village in Oji River local government area of Enugu state respectively. Ezu River holds the relics of police brutality on indigenous people of Biafra. The horrific scenario comes to mind especially when the names of Mr. Peter obi and CSP James Okafor are mentioned. They are the hallmark of conspiracy, executive lawlessness, and deliberated massacre of Biafra youths, men, women and children by Islamic Nigeria murderous agents under their watch. Mr. Peter Obi was the former governor of Anambra state while Mr. James Nwafor served under him as commander of the infamous special anti robbery squared SARS in Awkuzu,Anambra state. Saturday 19th January, 2013 remains indelible in history as the world was startled with the discovery of over 30 floating dead bodies of Biafra people killed and dumped in Ezu River by Awkuzu SARS to destroy evidence. Though Mr. Peter Obi visited the scene and witnessed the floating decomposing bodies, he was unarguably privy to that barbaric ,extra judicial execution of his kith and kin; an act perfected by CSP James Nwafor. Days and moths expired without anything done practically by Peter Obi administration to unravel the perpetrators until a joint senate committee on police affairs, national security and intelligence chaired by senator Paulinus Igwe Nwagu and senator mohammed Magoro was inaugurated to investigate and expose the source of the decomposing bodies floating on the Ezu river banks. Those killed and dumped in that river were Biafra youths, men and women whose offence is only asking for freedom and Biafra restoration. They were abducted in their dwelling homes, incarcerated and tortured for months without trials at Awkuzu SARS; they were secretly murdered in cold blood by CSP James Nwafor at the order of Peter Obi and dumped into the Ezu River in the wee hours of the night. Mr. Peter Obi and CSP James Nwafor complicity in the several killings of indigenous people of Biafra with special reference to the Ezu River floating dead bodies shall never be swept under the carpet or intelligently explained away. It therefore became imperative that the senate committee report which indicted the police and Peter Obi should public and the culprits face prosecution. 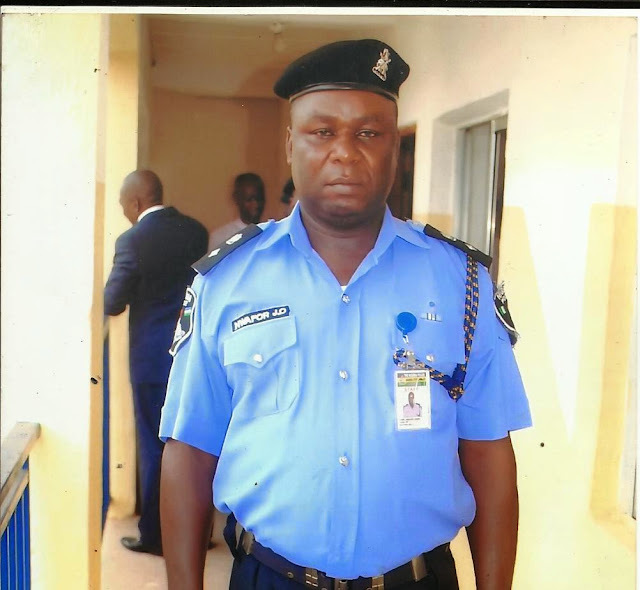 Because justice has been delayed Mr. Peter Obi and Mr. Obiano the incumbent Anambra state governor, intending to impress Mumumadu Buhari has concluded plans to re instate CSP James Nwafor as SARS police boss in Awkuzu. We have sufficient reason to doubt this second coming of CSP James Nwafor if not to continue the massive slaughter of indigenous people of Biafra. This we hold to be correct because justice was never served on his rascality, lawlessness, impunity in severally shedding Biafra blood. We are but compelled by the forgoing to denounce his redeployment as crime against humanity because the intent is more killing of Biafra people and calculated destruction of our dignity. Shall we Biafra people at home and in Diaspora unanimously raise our voices to this end or what happened in 2013 under Peter Obi and James Nwafor repeats itself. It should be recalled that our youths, men women and children were incessantly kidnapped,tortured,raped,assassinated,poisoned,imprisoned and massively massacred. We shall no longer tolerate Islamic Nigeria government dangling before the press misleading slogan like (miscreants) in order to main our people and ensure continuous siege on Biafra land. We shall continue to hold in distrust Peter Obi,Obiano and CSP James Nwafor as our mortal foes against whom shall be made to face prosecution for crimes against humanity committed on indigenous people of Biafra. Why are Biaframs keeping quiet and allowing these atrocities to be done in the land?